Shawls have always succeeded in imparting head-turning looks that doesn’t require any prep time. 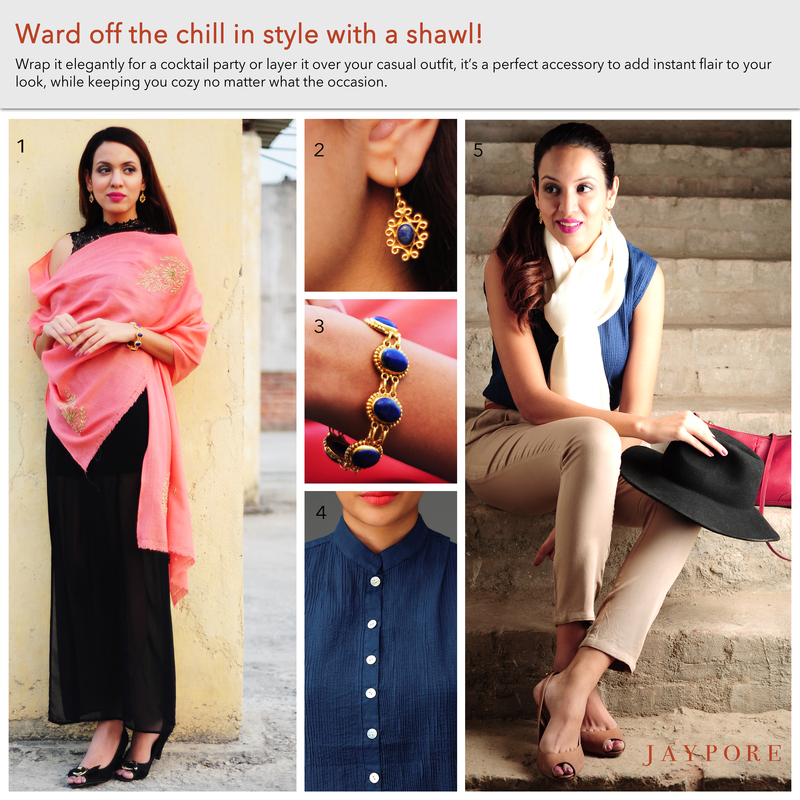 Here are two different styles in which you can carry these comfy wraps irrespective of the occasion. Heading to a night out? From a cocktail party to gala, complete an elegant outfit with an embellished design shawl. The sparkles and sequins are sure to complement your dress. Love to layer? Keep cozy with all your casual outfits. From smaller fabrics that can be worn like a scarf to full-body wraps, get wrapped up in fashionable colors. Keep one handy at your office for those days when the air conditioning is cranked, or wear it at home for cozy nights. For cooler weather, heavier knits are perfect for keeping you warm. Accessorize with a top or blouse, or get bundled up with your coat. Posted in Sartorially Set and tagged accessory, casual, cozy, Dress, elegant, fashion, jeans, layering, shawl, style, winters. Bookmark the permalink.